An old friend of mine once said, contemplating old age, decrepitude and our inevitable end: “Well, one good thing about being dead. 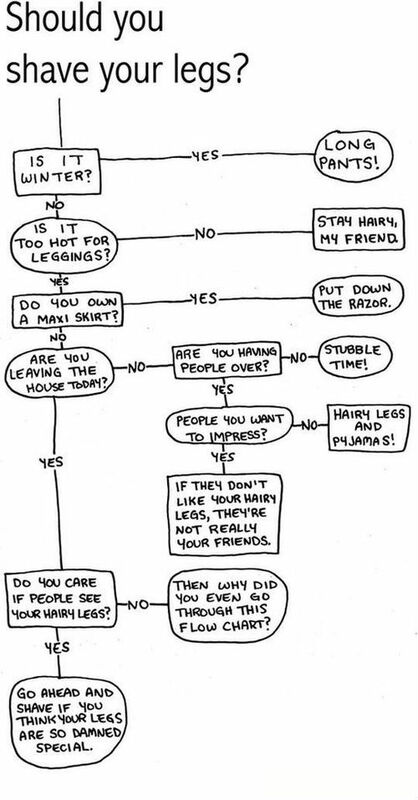 At least we won’t have to shave our legs”. A bit extreme, but I’m with her on the utter tedium of depilation. Personally, I take a low maintenance approach to hair removal. In Winter I consider my body hair an asset. 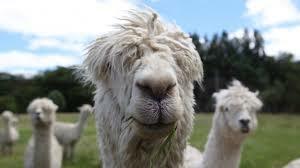 It is an insulating extra coat, like an alpaca’s. It’s different in Summer. No, I’m not in search of a “beach body” – a “town body” would do me, since that’s where I spend 50 weeks of every year. But I don’t want to show myself up or look, well, untidy. So in order to put my best (preferably silken, golden, pedicured) foot forward, I endure the hideous ritual of Summer grooming. Because I’m not a natural beauty salon junky, this is a lazy woman’s cheat list. I wrote this last year, but actually not much has changed, so I thought I would reissue it with a few updates. The aim is to look good without spending the whole lovely Summer, (which is too short anyway), anointing yourself with unguents. We’ll keep this brief like the whole damn process should be. 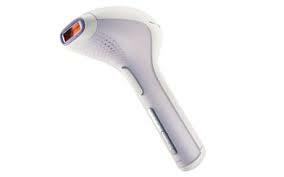 The best thing I ever bought to help me in the pursuit of a less luxuriant body pelt, is a Philips Lumea machine. It looks like a ray gun from a 60’s SciFi film – you can imagine Barbarella coming at you with one of these babies. 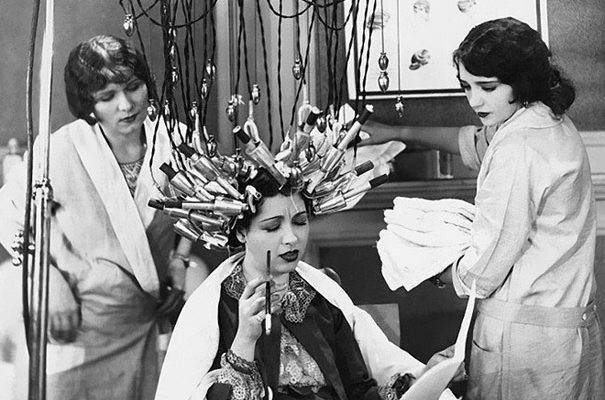 And they are sort of ray guns – pulsing intense light into your hair follicles to deter them from sprouting anew so the hair grows weaker and weaker. These machines are not cheap – there’s a new smaller model at Boots.com for £200 – but they do work. You have to use the machine every couple of weeks or so, but within a couple of months you should be visibly less hirsute and more downy. 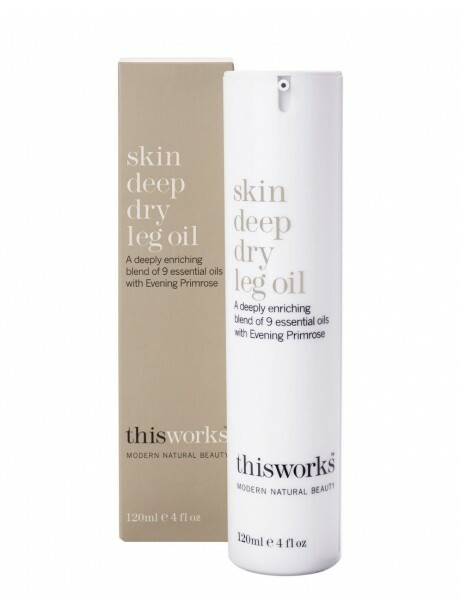 It works best, they claim on dark hair – but after a certain age, who doesn’t have dark hairs appearing in all kinds of places they have no reason to be appearing? I’m a standard British mouse (what the nicest hairdressers call “dark blonde”) but I find it works on me. I cannot deny it. The first few times you use this are a drag. But if you want a relatively fuss free, long term approach to hair removal, then this is a pretty good solution. If you are prepared to commit to it, then the Lumea is a practical, easy, home solution. And now (please cover your ears any male muttons listening) for bikini line management. I have a 70’s approach to pubic hair – shaping, pruning and general keeping it tidy like a nice suburban privet hedge. But I am informed this is increasingly unusual. A doctor friend tells me no woman under 40 has anything down there to trim at all. Bald as eggs, the lot of them. According to a single friend who is dating, many men are so unused to the sight of a full and furry female bush, they run screaming from the room at the sight of it, assuming you’re keeping a chinchilla in your pants. 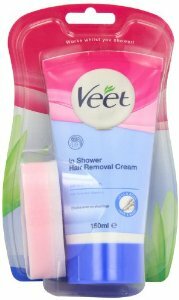 Whether you’re a proud Hairy Mary or a ballsy Baldy Barbie, Veet In Shower hair removal cream for “sensitive skin” (a euphemism if ever I heard one) will sort you out. It takes 3 minutes. Bish bosh, job done. One of the most tedious of activities, apart from snooker, is applying body cream. And so unrewarding, too on desiccated Muttony skin. It soaks in as fast as a puddle into sand, leaving, well, sand. But not this diabolically clever lotion. It’s called Ameliorate and it sloughs off every little bump and blemish until your skin feels as smooth as silk. It stays that way for a couple of days too, should the trauma of lotioning every day be too much for you. I have to admit I’m a bit of a scrubber (snigger, snigger). My favourite treat is Origins Ginger Scrub, (£38 in John Lewis) when I can get hold of it, because I like the scent. 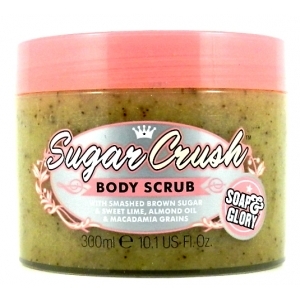 But for far fewer of your hard earned spondoolicks, there is a this rather nice sugary one by Soap & Glory which I have to stop myself licking. Both leave you feeling so smooth you find it hard to stop stroking yourself (yes, I know how that sounds). Ah! The thorny issue of the fake tan. Now your lovely limbs are hair free and smooth, but the glare from their alabaster surface is bringing down planes, what do you do? I have a very poor history with fake tan. The heavy duty stuff creates a tie die Batik effect across my knees and calves. The gradual tans have other hazards. One year I made quite a lot of progress with Johnson’s Summer or Dove Glow or Garnier Glimmer or some such. I was pleasantly pleased at the way it was turning me a sunny gold. 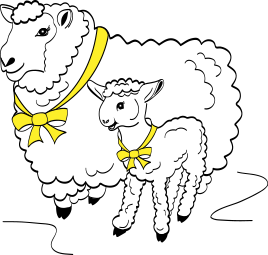 Until Mr Mutton, casually looking up from his crossword one day, asked why I had turned orange. Emperor’s new tan! On the odd occasion when I’ve had a really special occasion coming up I’ve booked a spray tan. You couldn’t make it up. Where is David Lynch when you need him? Mind you, you do get a great tan. To avoid the humiliation of being resprayed like an old Vauxhall, try these beauties. “This Works” have two products I like – a shimmery dry leg oil which acts, I suppose, like dazzle camouflage so no one even notices you have legs, let alone that they’re a bit peaky looking; and a gradual leg tanner, which has the virtue of smelling nice even though it still needs applying with more precision than my usual Jackson Pollock technique. My other favourite is the St Tropez In Shower Gradual Tan. 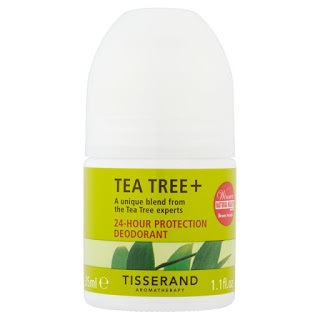 I’ve mentioned this before I know, but it really is a great product for a lazy gal. Top tip – don’t get so focussed on your legs you forget any other bits on view. It’s a common enough sight but brown legs and white arms do look slightly strange. And be very careful around your ankles – streaksville central. We don’t want to spoil the effect of all this work with big wet circles under our armpits, do we? 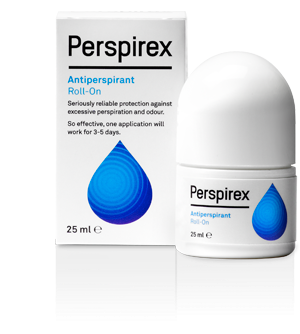 My two favourite antiperspirants couldn’t be more different. One is completely natural, contains no aluminium and smells great, Tisserand’s teatree and rosemary roll on deodorant. It actually works too. I buy mine when I do the Ocado shop. It costs about £5 there but if you shop around you can get it cheaper. 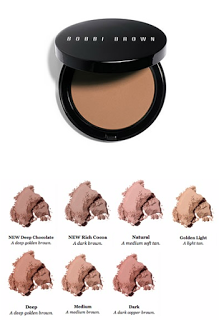 Finally, a healthy looking complexion. 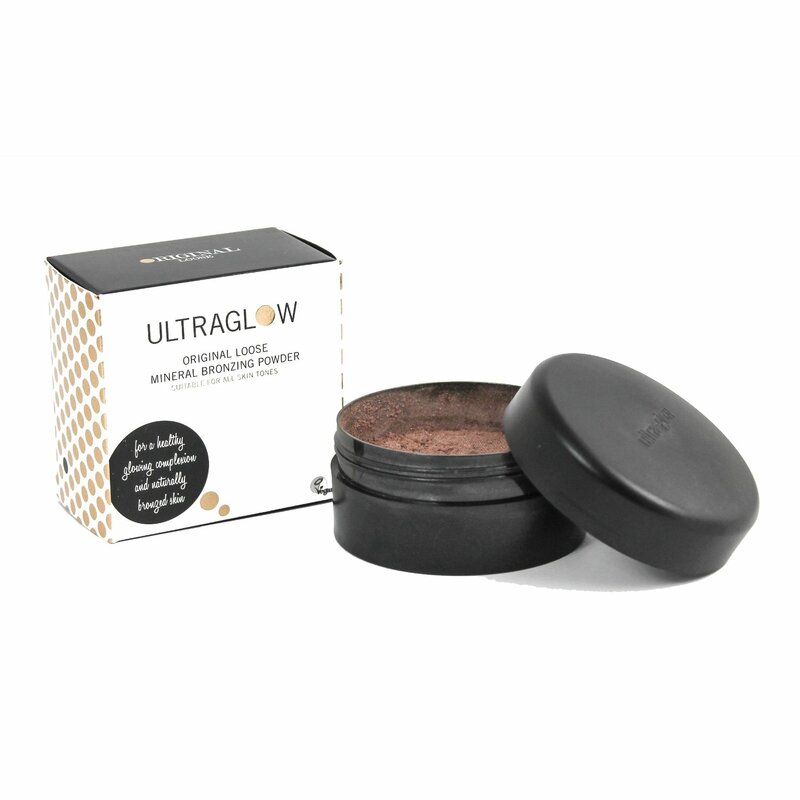 Years ago, in the 80’s when we were obsessed with tans, before my bad, bad flirtation with sun beds, I discovered Ultraglow bronzing powder. It was a phenomenon at the time. Advertised in taxis, it promised everything from a healthy glow to imaginary cheekbones. It came with a large brush and a tutorial leaflet about how to swirl it under your chin, around your forehead and along your nose. I spent a couple of happy years swirling this all over the place and looking contoured, bronzed and really rather orange. It’s taken me a long time to come back to bronzer. Then, the other day, catching a reflection in a shop window and realising that drawn, anxious, unmade up face was my own, I dashed in and got my make up done on a Bobbi Brown counter. They used bronzer in a completely different way, like a highlighter really, around the edges of my cheekbones to give me a bit of healthy colour. I went home with it. Not cheap but it stops me looking pale and uninteresting. Until next time, let the sun shine!